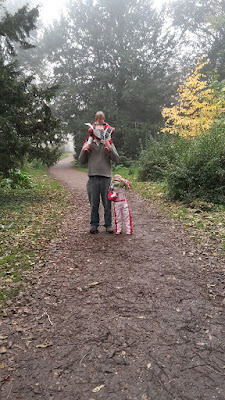 My wife had a rubbish week with the girls over half term. As the youngest was poorly all week she couldn't meet up with her friends or go anywhere really. So on Sunday we decided to go out for the day. Tricky to see when the little one is holding her map on my shoulders! First of all we went for an amazing carvery and filled our bellies to brusting point. I asked for a doggy bag for the girls meat they'd left, I think foolishly they thought the meat would be for a dog, little do they know that became last nights curry! 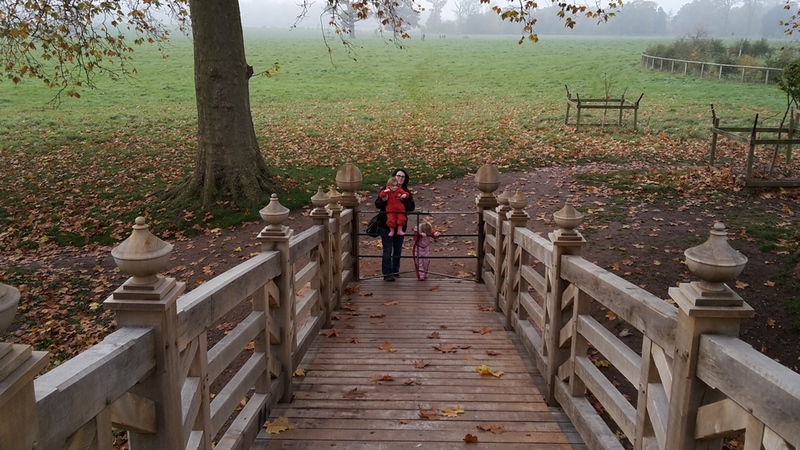 We then went over to Croome Court, which isn't far away from us and undergoing some massive restorations at the moment. The girls love having a map and trying to find their way around, they also got their faces painted so really they were butterflies for most of the afternoon! 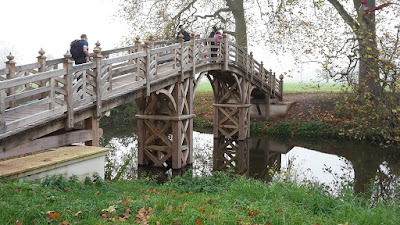 I didn't take many pictures as it was such a grey and overcast day but I was impressed by the oak bridge, I'd love to make something like this! Look at the size of that tusk tennon! 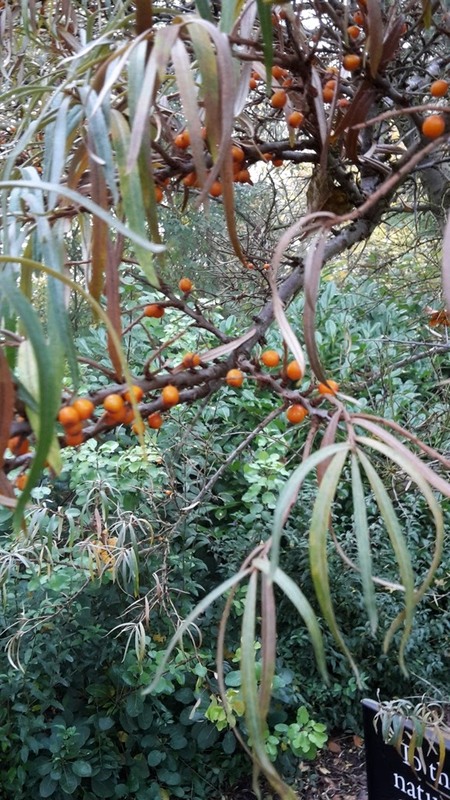 Even spotted some sea buckthorn by the playground. Nothing liek being able to spot unusual food sources when you're out! A great day out, and a nice way to learn more about our local area. The girls had a great day and just loved being able to run about (the play area was great as well!)! I did try it and it certainly is sharp! 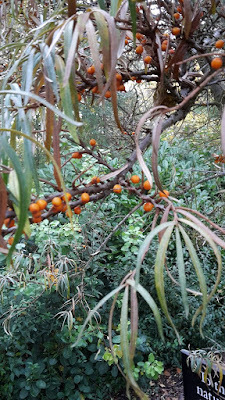 I planted one earlier in the year so I should have my own supply soon - high in vitamin C apparently! Neat looking timber framed bridge. It would be a fun project to build one like that. Looks quite new. 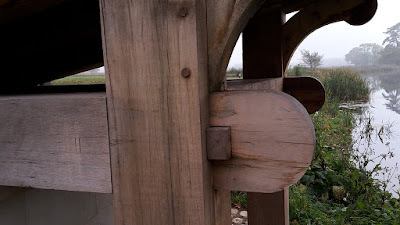 I am surprised they put the oak supports right in the water. I don't expect they would last very long like that. I'd have thought they'd have made a concrete or rock base instead. I thought the same about the oak in the water but when I got down to see it up close the low level timbers are another hardwood (african I'm guessing) which must be good in the water!